This mountain range on the northern coast of Sicily is, geologically speaking, a continuous of the Apennines. 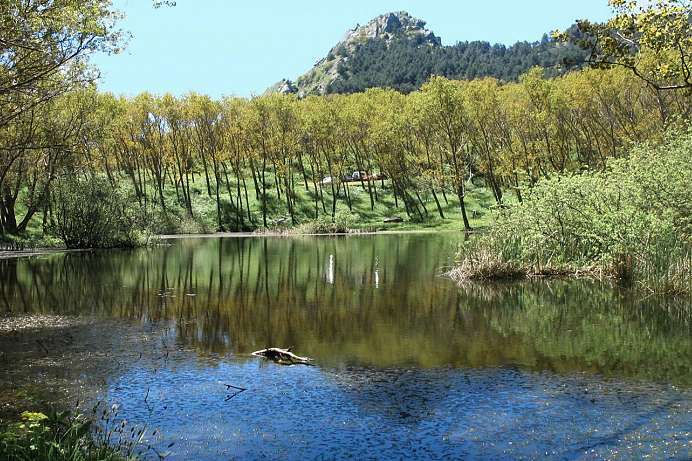 The highest mountain here is the Pizzo Carbonara, which at 1979 meters is also the highest non-volcanic mountain in Sicily and an important fresh-water watershed. 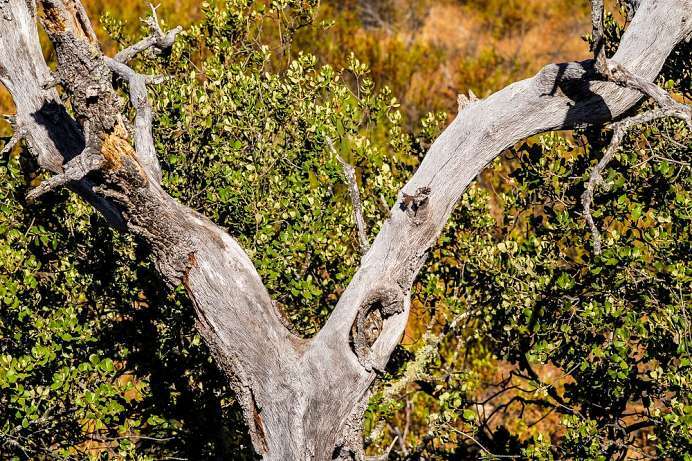 The Madonie Forest has among the most diverse plant and animal life in the Mediterranean. Cork and holm oaks, elms, giant holly trees and the last remaining Sicilian firs (Abies nebrodensis) grow over an area of 15,000 hectares. 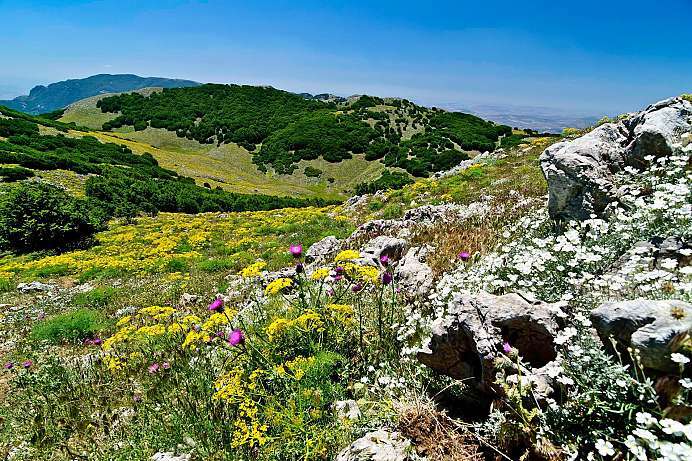 Due to the high biodiversity, part of the range was declared a nature preserve. 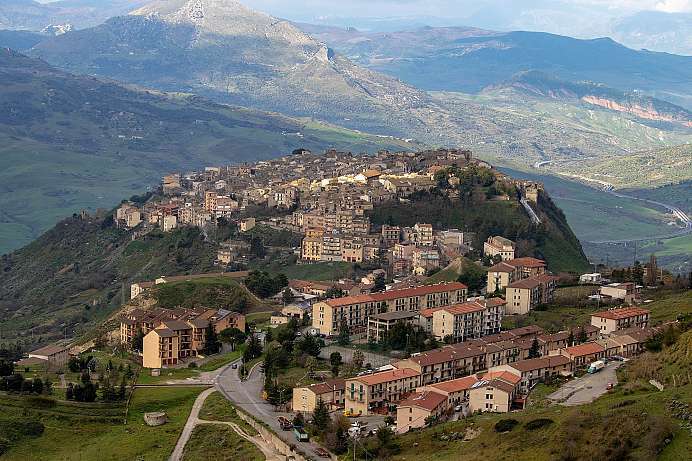 The village at the foot of Pizzo Carbonara is ancient. It was founded in prehistoric times by the Sicels. In the center of town is Piazza Margherita, an idyllic square which got its looks in the 19th century. In the shadow of the church and the town hall are many cafes where you can eat manna, a specialty of the town. The resin-like product with its biblical name is made from the bark of the ash tree and is used for sweetening. 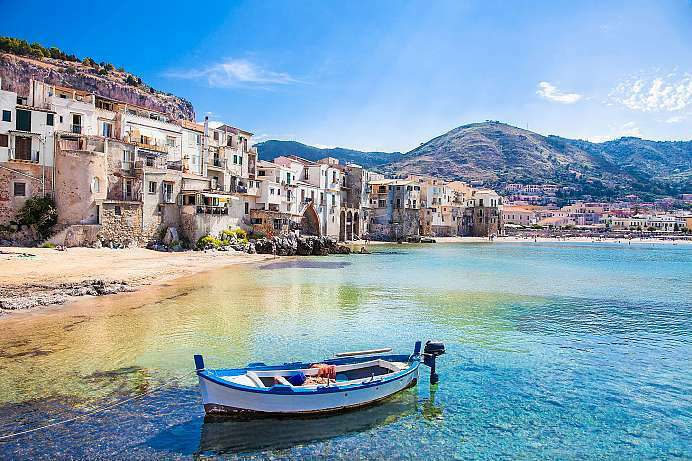 The small port halfway along the northern coast of Sicily has a picturesque old town tucked away between the sea and the Rocca di Cefalù. The main attraction is the Norman cathedral, which dates back to 1135. 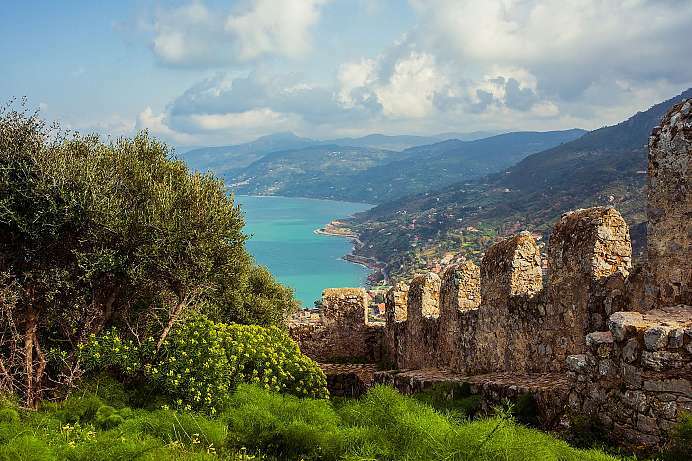 Its construction was ordered by Roger II, King of Sicily. Unfortunately he died before work was completed and therefore had to be buried in Palermo instead. With its Byzantine mosaics and paintings, the basilica is one of the most beautiful Romanesque churches in Sicily. Just west of the city is a long beach; behind it is the unspoiled nature of Madonie Regional Park. 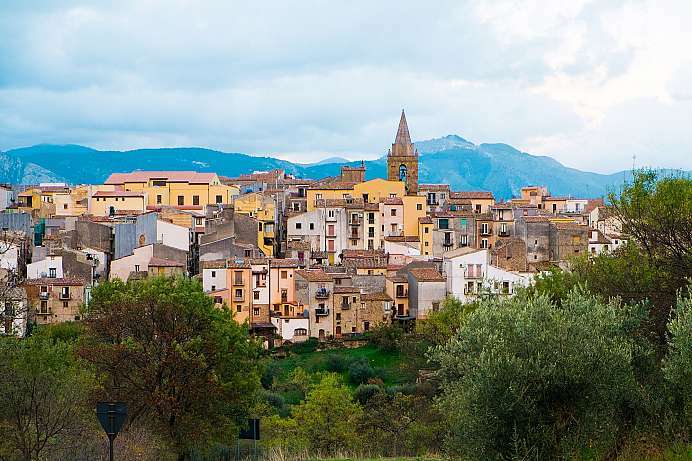 The small mountain town in the shadow of a Norman castle from the 11th century enjoys a spectacular view all the way to the 70 km distant north coast of Sicily. On some days the place seems to float on the clouds. Especially from Piazza XXVII. Maggio at the end of the boulevard, one can see far across the Madonie Mountains. Anyone who wants to go hiking in the Madonie Mountains, can drive to the alpine hut Rifugio Francesco Crispi. 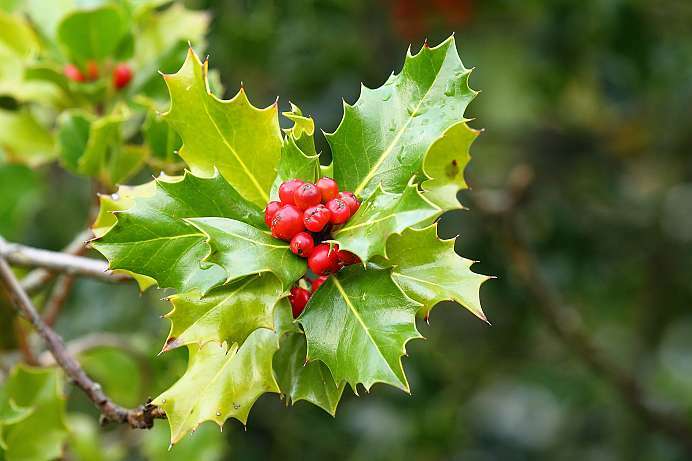 Several circular hiking trails start there, including a 3-hour hike to the tallest Holly Trees on the Mediterranean. If you're lucky, you can see all the way to the Lipari Islands. 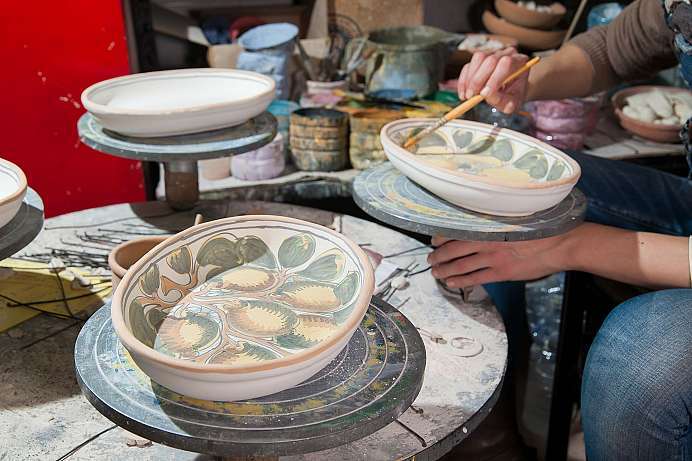 This coastal town has been a ceramics center since the 17th century. Tiles in brilliant colors adorn many parts of town. In the market, you will find colorful plates, vases and mugs in a variety of styles – everything from simple country designs to works of art. Even the cemetery at the edge of town is decorated with countless tiles.